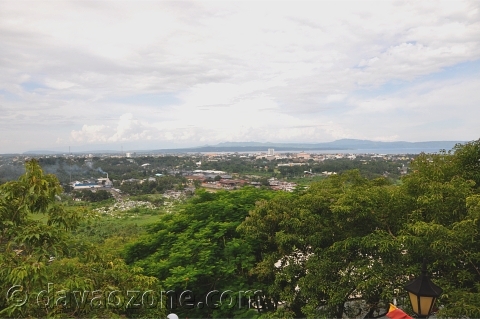 The place where you can see the view of Davao City from atop is at Jack’s Ridge Resort and Restaurant. To be on top of this marvelous place is sure astounding. It’s open day and night for viewing purposes with minimal fee. But if you dine and unwind in the cozy restaurant and café inside, viewing and picture taking are included. Historically, this place was once the headquarter of the Japanese troops in World War II. Now, it’s one of the city’s wonder-places for both tourists and locals. Not only is the view interesting at Jack’s Ridge but the different amenities as well. You can bring your family to a swimming day at Kool Kat’s Pool or have an enjoyable singing night at the BMW KTV and Piano Bar. Even a simple dinner at Taklobo Restaurant makes the night magical with their sumptuous meals and desserts. Hmm, I missed the Calamares we had one night when we were there. 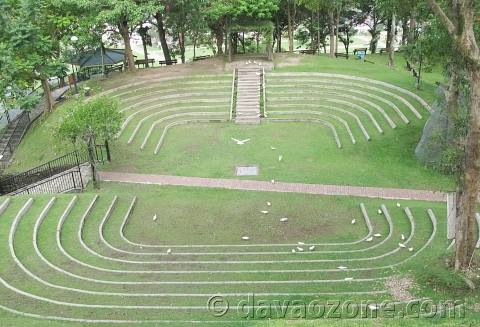 How about planning your wedding at this Amphitheater and the reception at Penmar Hall. It will be a wonderful experience of a lifetime. Jack’s Ridge Resort and Restaurant has all you need from cozy dining to simple relaxation. Jack’s Ridge Resort and Restaurant is located at Shrine Hills, Matina, Davao City. You may reach the place by a taxi or your own car, or tricycles maybe. When my friends went to Davao they enjoyed their night out at Jack’s Ridge. 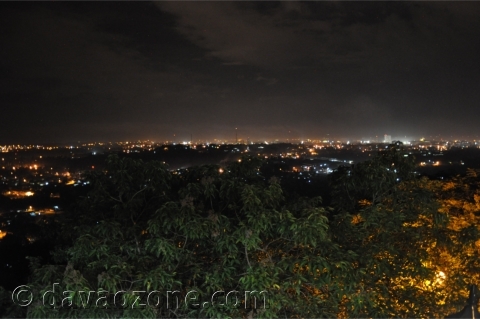 The majestic view of Davao at night is so marvelous. They also enjoyed the great food offered by the restaurant. Same here. The night view actually distracted me from eating my food. It’s awesome! how much is the entrance naman? and where is that? Yeah! This place is very awesome. I was amazed so much by their beautiful views. Hoping to come back there soon. OMG! what a place….. one of the most beautiful tourist spot that I’ve ever seen! nice one.